If you're thinking about establishing a solo practice as a young attorney, be prepared to face a number of challenges early on. The most practical issue is this: how to find your first clients? Work With Other Attorneys ... and Their Clients: Work with another attorney in an of-counsel capacity. The client will get to know you (after full disclosure). 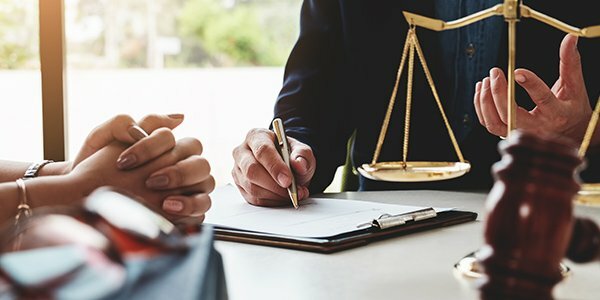 You'll likely be guided by the more senior attorney who will compensate your time as a percentage (also, with the client's knowledge and consent). You won't get paid much, but you will be learning how to practice. Believe it: with experience comes confidence. Advertise: Direct solicitation (in the style of ambulance chasing) is still frowned upon if not outright banned, but pretty much all jurisdictions at least allow general advertisements to the public. And that's exactly what you should do. You could turn yourself into a personal injury mill-type firm, or you could set up a landing page to attract new clients in your geographic locality. Learn some SEO and basic webpage setup. Or consider signing up for some expert marketing assistance. In a weird way, learning to code basic stuff could actually help your business, so don't dismiss it as a waste of time. Learn to Value Yourself, Sell Yourself: This one is particularly tricky. There are arrogant and assertive attorneys, and then there are more callow and passive attorneys. It's easier for the more arrogant attorney to value his time because he already has ego on his side. But the passive attorney has to learn to value his time. He can provide a service that few others can and this translates into self-worth. Once you start actually convincing yourself that your time is worth something, you won't hesitate when you give them your hourly rate. Consider Your Experience: Remember your internships? Practice is going to be like that, only much worse -- at least for a few months. Unless you were very lucky and had great hands on training, get ready to accept that you don't know a thing. A paralegal with only a few years' experience knows about 20 times more than you do. By the way, trying to run a law firm for the long haul without a legal assistant is step into disaster. You need the experience and firepower of a competent legal assistant. Maintain Realistic Expectations: Too often freshly minted attorneys prematurely declare that they will only take the big cases sure to bring them glory and riches. Well, we all want that. And there are only a limited number of big cases out there. Are those big cases going to find you while you're still green? Unlikely.